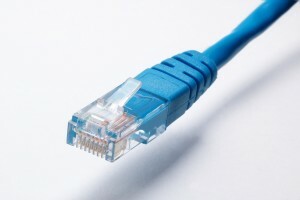 As your premier provider of Business Phone Systems here in the Charlotte Metro area, DS1 offers business phone systems, cabling and broadband services! We have over 22 years experience in the telecommunications sector and we feel confident that our knowledge and expertise will provide the right solution for your business. Why pay high ticket prices for similar equipment that we can provide? That’s right, our phone systems and cabling are much more affordable and the service is 2nd to NONE! How can we make these claims? Just recently, we were up against a national IP phone equipment provider competing for a local client on an Avaya IP Office 500 solution. The client told us that our proposal was 30% less than their price! This isn’t just a one time occurrence either, this happens all the time. As mentioned, our service is what sets us apart. We even provide our mobile phone numbers to our clients so they can get in touch with us 24 hours a day! Do the big companies do that? Unequivocally NO!! In today’s highly competitive business environment, effective and reliable communications are critical to a company’s success. Therefore, it is very important that you invest in a business phone system solution that allows you to take advantage of the latest technology-enhancing Voice over IP applications that can deliver increased performance throughout your organization – that solution is NEC’s SL1100 Communications System. The NEC SL1100 telephone system is the ideal solution for any small to medium sized business. The SL1100 makes your team more productive, responsive and most importantly – reachable! The system comes out of the box with 4 CO lines and 8 extension ports but can quickly expand to a total of 196 ports. Do you have a lot of employees in one location and searching for a true voip phone system solution, not a problem, the SL 1100 can connect them all and provide one touch dialing or directory dialing from any extension. There really isn’t anything this ip phone systems charlotte nc can’t provide for you. Do you have a lot of remote users who only have access to the Internet? Not a problem there either, as the system can expand to accommodate 64 IP phones that can be plugged in anywhere in the world that has internet access. One of the top features of the phone system is voicemail to email integration. Receive your voicemails in your email box on your Iphone or Android device and never miss a message while not sitting at your desk! The phone system also has a call recording button so you can record every one of your phone calls that you make from your desk and it save it automatically in your voicemail box! Click to Call 704-729-7210 and ask for David or visit our contact us page. DS1 Phone systems is an authorized dealer for ESI and NEC SL 1100 phone systems. 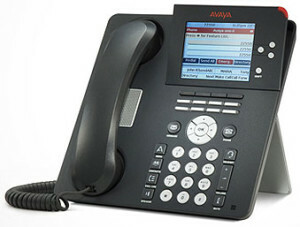 We also have technicians trained on the Avaya phone systems and Nortel phone systems. Nortel Networks, Meridian, Nortel, Norstar, BCM, CICS and MICS are the registered trademarks of Nortel Networks Inc. DS1 is not affiliated, authorized or licensed by Nortel, Nortel Networks Inc. or Avaya Inc.